BY KEITH H. CLARK, JR. Although you may think you are only paying the underlying expenses of your mutual fund or ETF selections, that may not be the case.A It is very common for plan sponsors to charge recordkeeping administration fees to the plan, which means you (the participant) are paying the fees with your 401(k), resulting in a lower investment return. In fact, some service providers charge an additional asset-based fee (or annuity fee) on top of the underlying mutual fund expense. In general, if your plan sponsor is charging fees to the plan (meaning you), the smaller the asset base in the plan, the more fees you are paying. 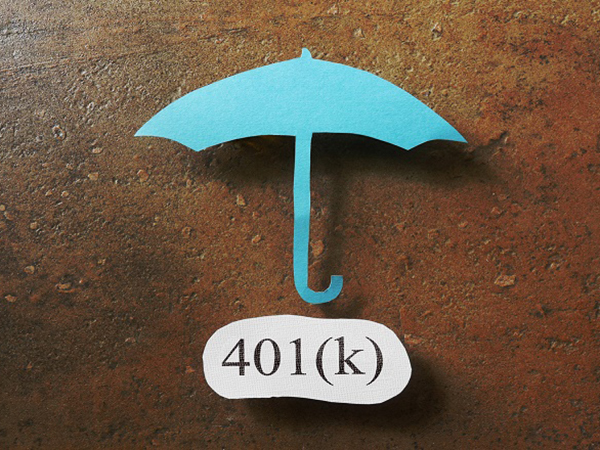 So, if you work for a company where few employees are participating in the 401(k) plan, be especially watchful about fees. We have heard stories about companies that are terminating their plans is a way such that the owner takes their money first and the outstanding fees are charged to the rest of the participants.A At least in this case, if the plan is audited they will be caught–as they were not acting properly as a fiduciary. — The first variable is how quickly the error was caught. The longer that time period, the higher the required contribution. — The second variable is based on the type of plan and potentially the average deferral rate for all non-highly compensated employees. If you are participating in a plan with a company match, make sure to check that your company deposited the match as required per the plan document. A classic example is a safe harbor company match or standard company match plan that matches 100% on the first 3% deferred and 50% on the next 2% deferred based on plan year compensation and deferrals.A Many plan sponsors with a safe harbor match formula based on year-end compensation and deferrals will fund the safe harbor match during the plan year with each payroll. In this scenario, if you increase your deferrals from 3% to 8% midway through the year you will receive a 4% match with each payroll during the latter half of the year, and the first half of the year you will receive a 3% match. However, if your company’s plan calculates your match based on plan year compensation and deferrals, your full-year match should be 4% and you are due a year-end true-up!A That means your plan sponsor must make up the difference. In this same scenario, if the plan document indicated the match is determined by payroll compensation and deferrals, then the company match is correct as-is and no true-up is required (assuming every payroll calculation was accurate). Approximately 80% of the plans with a company match for which we provide compliance services require a correction. Many plan sponsors and their service providers do not review your company’s safe harbor calculation–therefore it often goes unchecked, and if there’s a shortfall, you may never get these monies unless an IRS or DOL auditor catches the mistake in an audit!